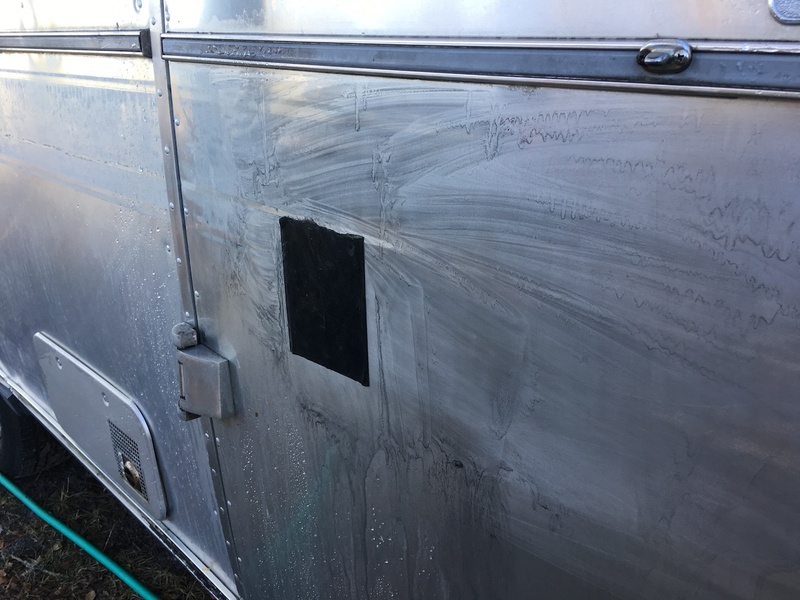 das Fass Modernization– Sandpaper on an Airstream?!?!?! Congratulations, Airstream, Inc! You did a wonderful job of adding a stripe that would never have an adhesive failure. 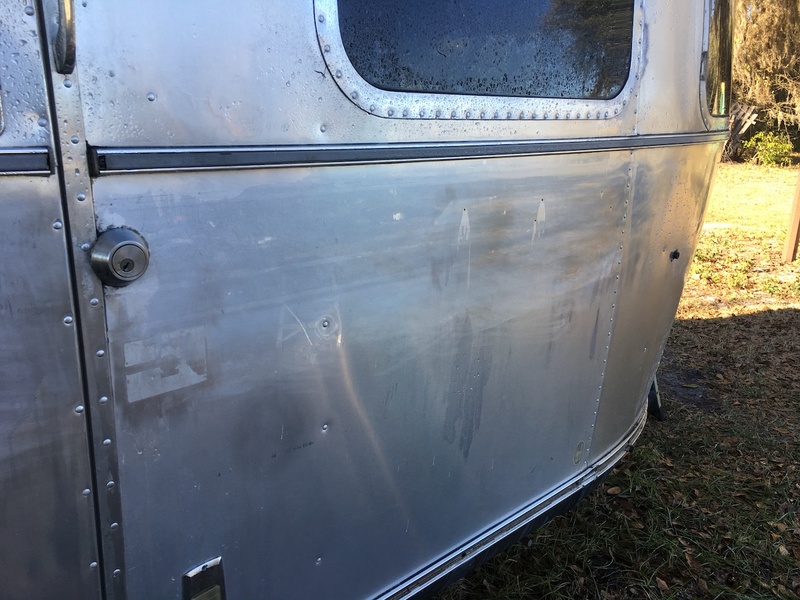 The adhesive not only required painstaking effort to remove it, trying multiple chemicals, and an eraser wheel, but the glue also either chemically bonded to the aluminum or caused some type of oxidization. So, I had to resort to wet-sanding. I tried starting with 600 grit. But even only a day later, the ghost stripe came back with a vengeance. So I took it down to 400 grit. With a 1/4 sheet power sander. That’s right. I killed that stripe dead. I saw mixed reviews when it came to putting sandpaper on your trailer. Prevailing wisdom is not to put sandpaper on your trailer. But there were some renegades out there. 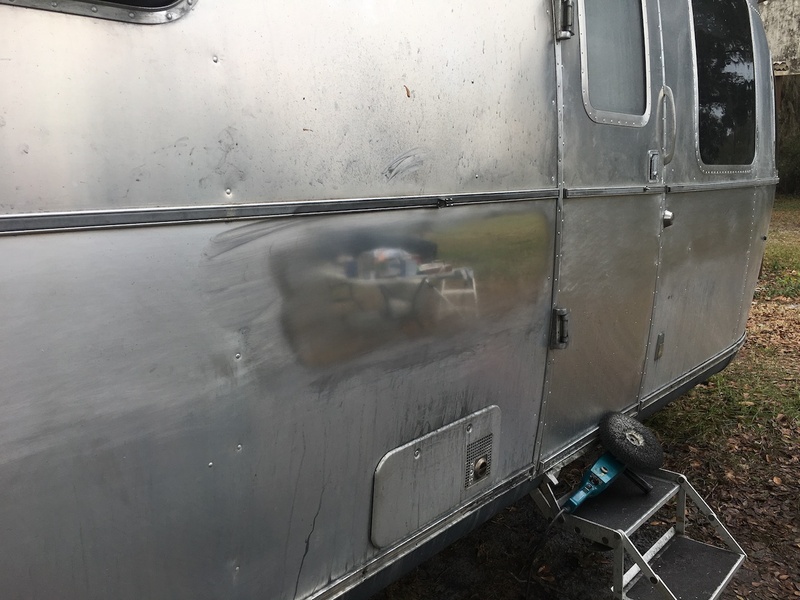 One guy even said he lightly sands his trailer before polishing every time. I’m not recommending that, by the way. Surprise! It shines! The area where I sanded showed no variation compared to the surrounding area that had not been sanded. But that’s rubbing compounded. 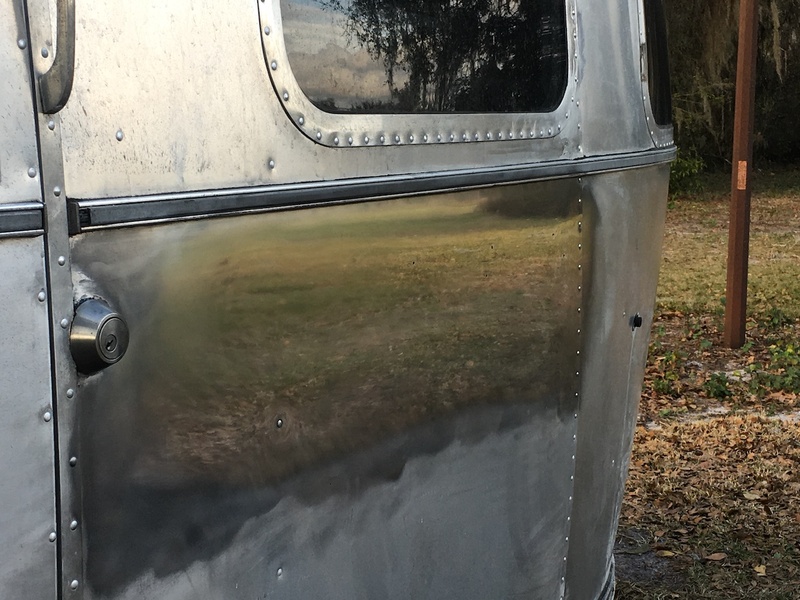 We want a mirror finish here. So I went through the process. Nuvite F7 –> IIC –> IIS using the Cyclo. Yeah, in your face sandpaper naysayers! I’ll let you know if the structural integrity of the trailer gives out one day. Here’s another shot of my two test areas. Previous Post:das Fass Modernization– Come on! I just want to polish! 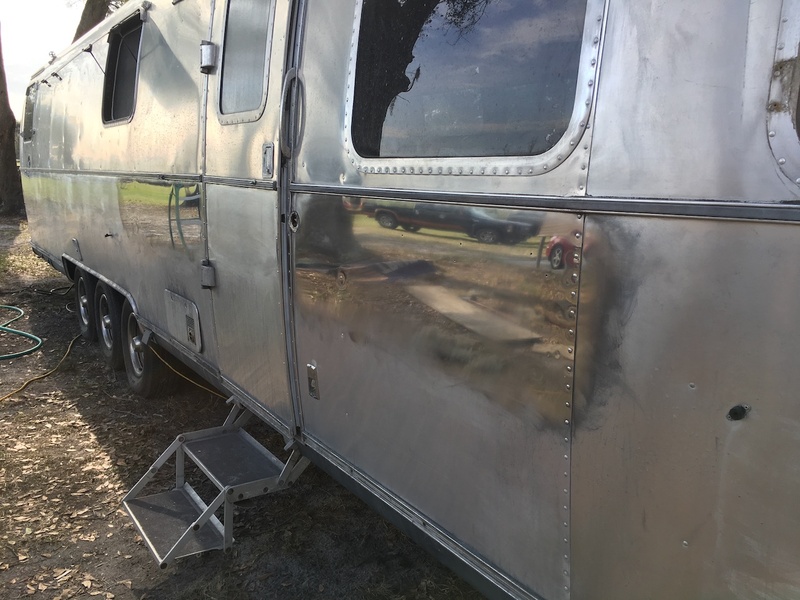 So glad to find your site, the RV is looking awesome! So glad your vision is coming to life. Can’t wait to share in your journey west! Thanks! We’re hoping to get underway next week. Still working on the format of the site to figure out what’s going to work best. Right now it just appears to be a bunch of pictures, but I’m planning to do some writing for the posts once we hit the road and I’m not spending my days working on the trailer. will see you again this year, not sure where but we will align the stars to make it happen…. Reflecting on Elephant and Castle – thanks WBZ, Leaf trips, Assembly, “our” Malbec…..